These days, LaBrassBanda are well known beyond Germany’s borders. In 2019, the boys from Bavaria are embarking on their world tour. Trumpeter Korbinian Weber talked to us about what they expect from the tour, how they write new music and why he wants to take his wellies to Australia. It’s usually lead singer Stefan Dettl, who invited trumpeter Korbinian to join the band back in 2013, who comes up with their songs’ basic structure. “Our lead singer, Stefan Dettl, is definitely the mastermind. And then it all comes together live, generally during rehearsals, when we all play together,” Korbinian explains. Aside from wellies in their luggage, they’re planning to bring lots of fun and good vibes with them to Australia. “We’ll go to Australia and give it our all at every gig. 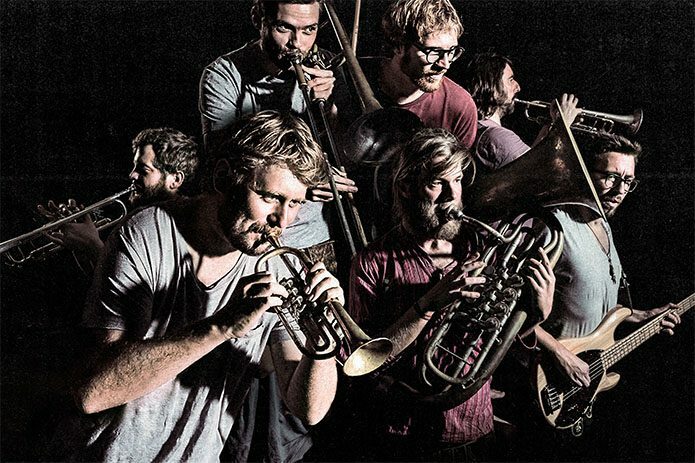 We’ll try to bring a little bit of Bavarian mentality with us, and at the same time soak up the mood in Australia and incorporate that as well.” The Australian leg of the LaBrassBanda world tour starts in Melbourne on 8 March 2019, together with Australian band Caravana Sun. Sabine Scholz-Hinton is an editor and writer. She lives in Sydney.